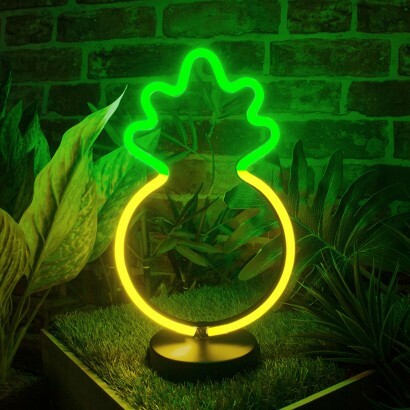 A totally tropical LED neon light with a retro flavour, this pineapple neon light shines with a yellow and green glow adding colour and a playful sense of fun to your interiors. 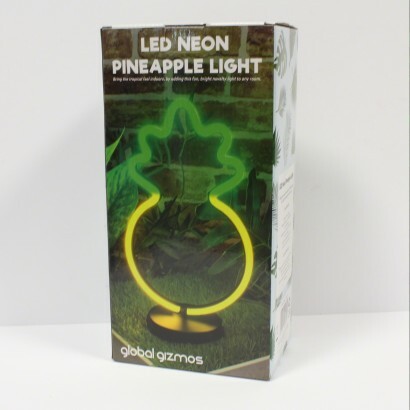 Battery operated, this pineapple light screams of kitsch retro style, with traditional neon being mimicked using LEDs that are safe to use and cool to the touch. Place it around your home and brighten up everyday with a touch of tropical fun!